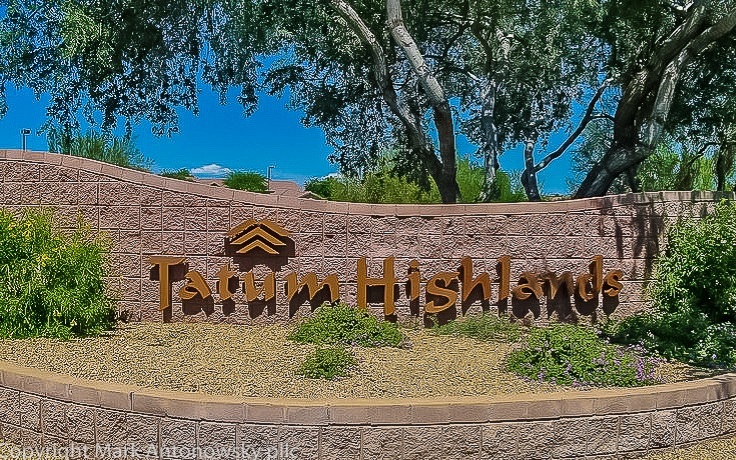 Tatum Highlands, located 4 miles north of the 101 & Tatum is one of THE nicest communities in NE Phoenix. Surrounded by the Sonoran Desert on three sides, a very serene place to live. The community was established in 1994, and offers homes by TW Lewis, US Homes, Presley Homes, Richmond American, KB Homes, Coventry & Ryland Homes. Fabulous schools as homes north of Jomax are in the Cave Creek school district, specifically Horseshoe Trails Elementary, Sonoran Trails Middle School and Cactus Shadows High School. Homes south of Jomax are in the PV School district, specifically Wildfire Elementary, Explorer Middle School & Pinnacle High School. The center of the community is Teets Park, a seven acre recreation area with lit Basketball & Sand Volleyball courts, a tot lot with rubberized asphault & sand surfaces and a large grassy field for soccer, football or just a place to run.... Fabulous Community!